Let’s say you are headed to Hubli next week, and plan to check out the city’s street food. Now, you could call up someone you know in the city, or ask Google. 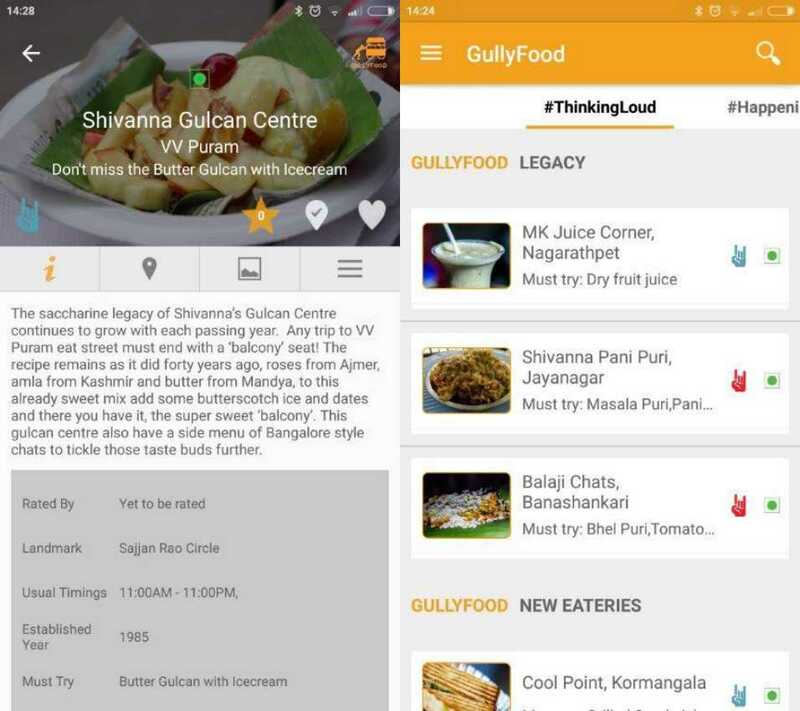 Or, better still, you could simply download the GullyFood on your Android phone. GullyFood is the brainchild of Bangalore-based former chartered accountant Chaitra Bharadwaj and her cousin and techie Gaurav Ranebennur. Launched in March this year, GullyFood currently has the dope on street food in places ranging from Ahmedabad and Goa to Lucknow and Bangalore. Bharadwaj and Ranebennur were both interested in street food, but found that there was a paucity of information on it once you moved out of a place you were familiar with. “There is a whole lot of information available about street food in the metros, but we also wanted to capture the scene in smaller towns, and that’s what we are aiming to do with the app,” says Bharadwaj. Even as the duo are working on add more cities to the app, one still encounters gems that are worth pursuing. 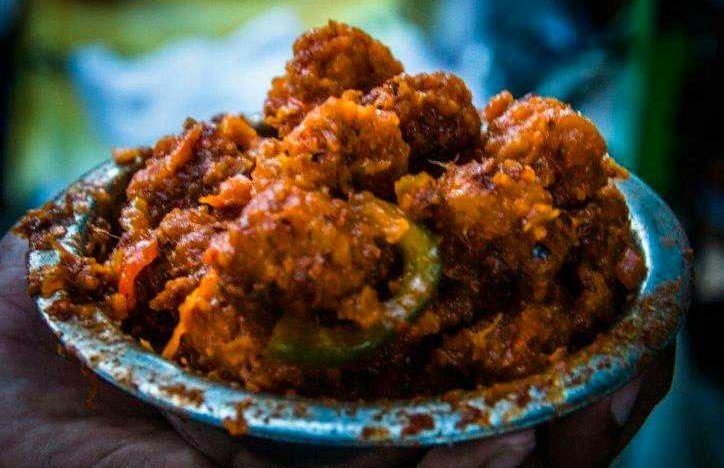 In Mapusa, Goa, for instance, GullyFood recommends the 52-year-old Anand Juice Centre that serves a mean Tender Coconut Shake, or, since it’s raining at the moment, maybe we should all go and see how good Spoorthi Gobi Corner in Vijaynagar, Bangalore, is. Since they hail from Bangalore, the city is the app’s strongest point. “For other cities, which we are not as familiar with, we work with a network on food-obsessed interns,” says Bharadwaj. The app currently has information on over 1,000 food joints across seven cities, and the plan is to make it, says Bharadwaj, a country-wide resource by October this year. More power to GullyFood, then, which has, says Bharadwaj, seen around 5,000 downloads since April this year. There are a lot of things that don’t need an app, but street food in India is definitely not one of them. Download it here.